What a weekend it has been! Our refrigerator decided to it didn’t want to work right anymore. Why? Because when everything decides to go wrong it does. Thankfully it ended with the fridge. However, I am not going to jinx it. We also have another fridge downstairs so we were blessed this time! 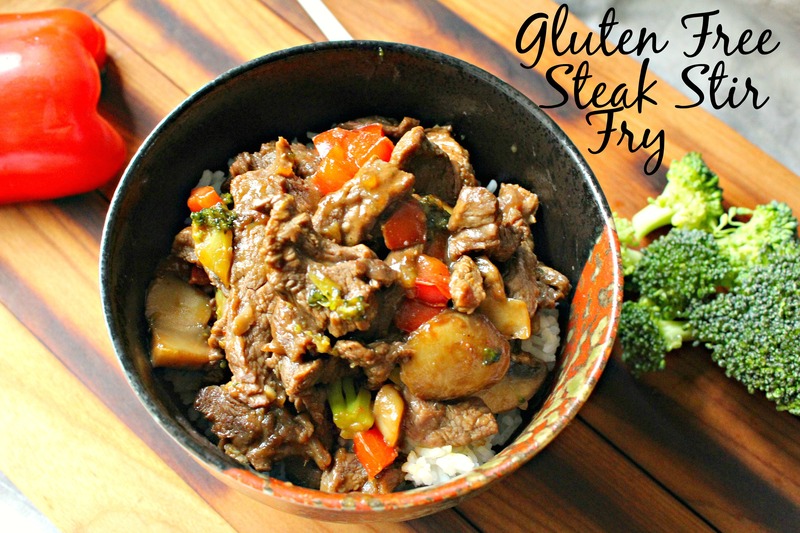 Besides I get to tell you about this awesome gluten free steak stir fry! Anyways, I have had to cook a lot of food because of that incident and I had about 1 1/2 pounds of steak that I had no idea what to do with but maybe make food for the dogs… Yeah I though that would a bit of a waste too….